The two questions I am always asked by those travelling abroad is, “Where do locals eat?” and the notorious question, “How to avoid tourist traps?” It’s safe to say that every person, myself shamefully included, has given into temptation and walked into the first restaurant they see when hunger is looming over their happy day. This inevitably lands them with an overpriced bill and unsatisfied appetites. But, with just a little bit of information I promise you will be able to differentiate the zeros from the heroes in the restaurant battle. Having previously worked in sales, I appreciate the quality approach of a good salesman or saleswoman. However, they do not belong outside a restaurant bombarding pedestrians with menus and/or flyers. Think about it – is there any quality restaurant you know that hands information out to people on the street? No, because they have a clientele based on the recognition of good food. In Rome (and Italian tourist attractions in general) prepare for the “Ciao Bella” tagline. Smile to be polite, but keep that foot moving forward. This is not automatically a dead give away that you’re in a tourist trap, but it is safe to assume that if you see a combo deal of pizza and coca-cola, or a similar beverage, for a low price, that it is not the fantasy Italian pizza all dreams are made of. With that being said, pizza can be a cheap option for the busy and hungry tourist. Look for pizza a taglio signs (not sit down restaurants) and you can be sure to get individual squares of pizza and a cold drink for 5 or 6 euros. If you have spoken to anyone who has lived abroad or spent a great deal amount of time traveling, I guarantee their one piece of food advice was to walk thy feet as far away from tourist attractions as possible. The further you get away from the main sites and streets, the better and in general the cheaper food will present itself. One of the best ways to see Rome, and most European cities for that matter, is to simply walk with no clear destination in mind. I have found some of my most treasured restaurant experiences in this manner. So, if you are visiting the Colosseum, set off to the Monti neighborhood. If you are venturing to St. Peter’s Basilica, give the Prati or Trastevere neighborhoods a try. Take the street less traveled and you are bound to have the meal most cherished. Raise your right hand and repeat after me- “I promise to never walk into a restaurant with display food out front.” This is a cardinal sin in my book. Whether the food is in plastic or picture form, or somehow real food, this is a red flag of a tourist trap. 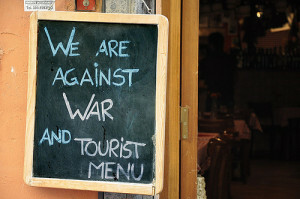 Think about it- if a restaurant is known for good food, they wouldn’t need to showcase it outside to gain awareness. Any restaurant that advertises “Real Pizza” or “Authentic truffles” or even “Homemade Tiramisu” has tourists as their target audience. The real Italian food that you flew across the big pond for is hidden in homey restaurants that either don’t have a name outside, or are discrete and modest with the name and signage. And, take it as a hint that restaurants use signs in English in a country where it is not the native language. Tourist bells should be going off. 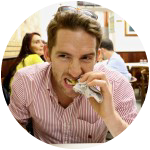 Despite English being the third most spoken language in the world, and the tempting convenience of seeing a familiar language in a foreign country, the restaurant is clearly not attracting the Italian locals with English menus. 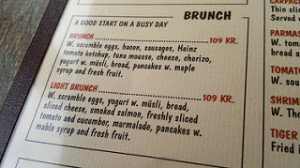 Now, I will say that I have been to fantastic restaurants that had an English translation. Of course, though, they were not in the center next to a tourist attraction. My rule for the English menu debacle is to use your best judgment. If you find yourself contemplating a restaurant that breaks all the above guidelines and has an English ONLY menu, run for the vine-covered hills. But, if you stumble upon a restaurant that is not flashing its appeal and it happens to have English on the menu, I say give it a try. 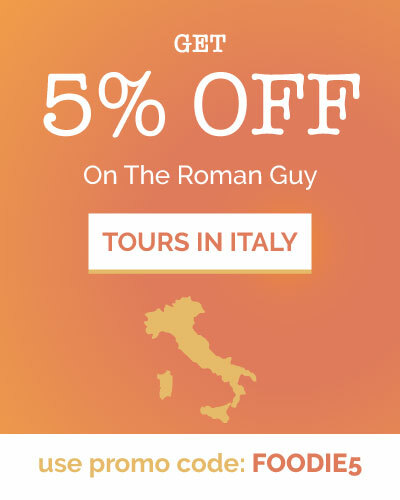 Rome is a city that can take your breath away with its fairytale enchantment, valuable history, and, if you trust the narrow cobblestone streets, the most lip-smacking and unforgettable meals. Rather than waste your time and money on a frozen pizza in a tourist trap, opt for an adventurous meal that will leave a mark on your taste buds and memory for years to come. 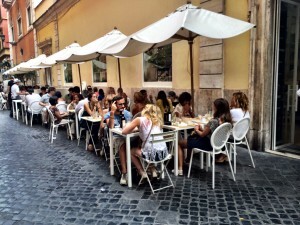 Did you learn how to avoid tourist traps in Italy? If you have any foodie enquiries, feel free to contact us via our social media channels, we’d love to help you eat well! 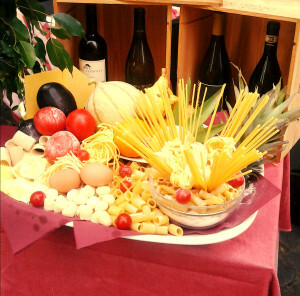 Or better still, you can enjoy Rome’s delicious cuisine with one of our food tours or with our tours in Italy!